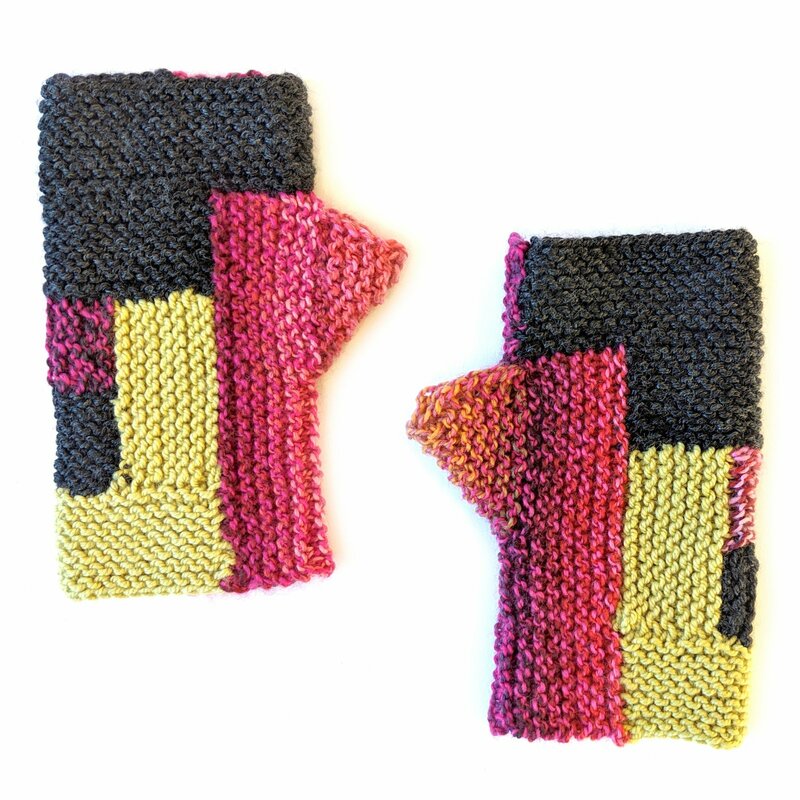 Join Liz for this exploration of color-block knitting as you create a pair of 3-color mitts using the Log Cabin Mitts pattern by Karen Templer. This class is two sessions of 2 hours each, and in the first session you will learn how to pick up stitches, change colors, and create the thumb using increases and decreases. After a week of homework, you will come back to class and learn how to seam your squares and create your first pair of colorful Log Cabin Mitts! These are such a fast, fun, and interesting knit, that you will want to make a pair for everyone you know ... but keep the first (and best) for yourself! Materials Included: Two sessions of two hours each, Log Cabin Mitts pattern, and a 10% Off discount coupon for Makers' Mercantile products.